Lobby Card entitled “Cats A -Weigh” (1953). Sylvester Cat accepts a position as mouse-catcher on a ship. He encounters Hippety Hopper being shipped from Australia. Sylvester mistakes Hippety Hopper once again for a giant mouse, and the baby kangaroo promptly beats the cat soundly. This edition is limited to 500 hand-numbered pieces. Originally, “Lobby Cards” were created to publicize each cartoon and were used by theater owners to display in theater lobbies. 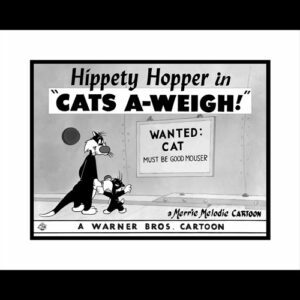 Framed 16×20 framed limited edition giclee entitled “Cats A -Weigh” (1953). Sylvester Cat accepts a position as mouse-catcher on a ship. He encounters Hippety Hopper being shipped from Australia. 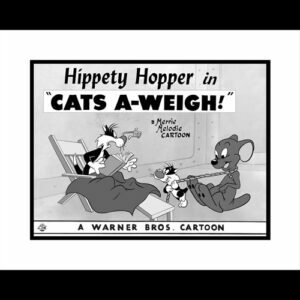 Sylvester mistakes Hippety Hopper once again for a giant mouse, and the baby kangaroo promptly beats the cat soundly. This edition is limited to 500 hand-numbered pieces. 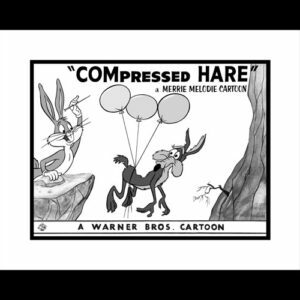 Framed 16×20 framed limited edition giclee entitled “Compressed Hare” This giclee features Bugs Bunny and Wile E. Coyote. This edition is limited to 500 hand-numbered pieces. 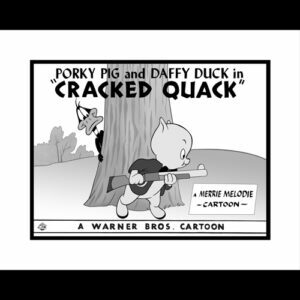 Framed 16×20 framed limited edition giclee entitled “Cracked Quack” This giclee features Daffy Duck and Porky Pig. This edition is limited to 500 hand-numbered pieces. 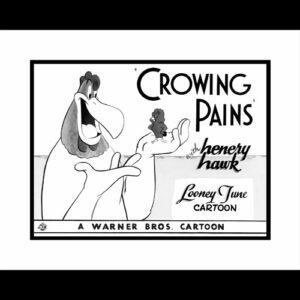 This framed limited edition 16×20 giclee is entitled “Crowing Pains,” and was released in 1947. The cartoon, directed by Robert McKimson, stars Henery Hawk, Sylvester, and Foghorn Leghorn and The Barnyard Dawg, all of whom are voiced by Mel Blanc. This edition is limited to 500 hand-numbered pieces. This framed limited edition 16×20 giclee is entitled “Dr. 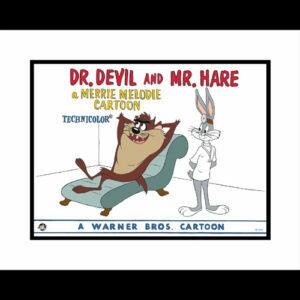 Devil and Mr. Hare.” This giclee print is reproduced from the original Lobby Card of “Dr. Devil and Mr. Hare,” released in 1964. This edition is limited to 500 hand-numbered pieces. 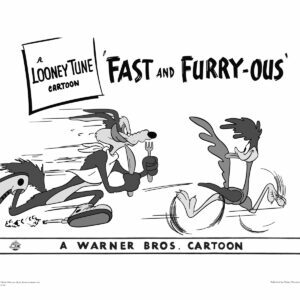 Fast and Furry-ous – Coyote and Road Runner Warner Bros. This framed 16×20 giclee limited edition Lobby Card is entitled “Fast and Furry-ous.” Fast and Furry-ous was released in 1949 and directed by Chuck Jones. This edition is limited to 500 hand-numbered pieces. 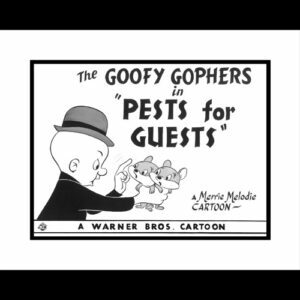 This framed limited edition 16×20 giclee is entitled “Goofy Gopher,” and released in 1947, under the direction of Robert Clampett. The Goofy Gophers are named Mac and Tosh, are small and brown with tan bellies and buck teeth. They both have British accents. This edition is limited to 500 hand-numbered pieces. 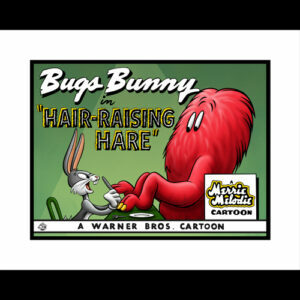 This framed limited edition 16×20 giclee lobby card entitled “Hair Raising Hare,” is a Merrie Melodies cartoon, released in 1946. It was directed by Chuck Jones and written by Tedd Pierce. 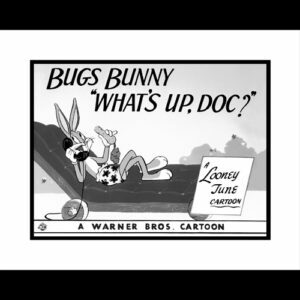 It stars Bugs Bunny and features the first appearance of Chuck Jones’ imposing red monster character, unnamed here, but in later cartoons named “Rudolph” and then “Gossamer”. This edition is limited to 500 hand-numbered pieces. 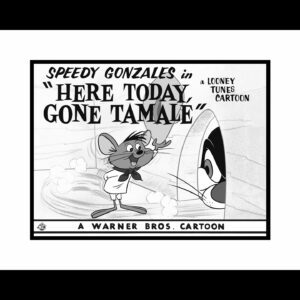 This framed limited edition 16×20 giclee is entitled “Here Today, Gone Tamale,” and was released in 1959. This cartoon amuses us with another face-off between the slobbering Sylvester and Speedy Gonzales! This edition is limited to 500 hand-numbered pieces. This framed 16×20 limited edition Lobby Card giclee is entitled “Here Today, Gone Tamale.” This edition is limited to 500 hand-numbered pieces. 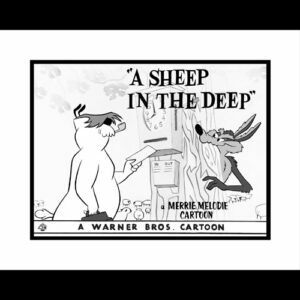 Released in 1959, it was directed by Friz Freleng. 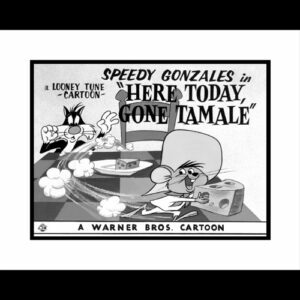 “Here Today, Gone Tamale” stars Speedy Gonzales and Sylvester.